SKU: iPAD_Saver_AWC003_Package. 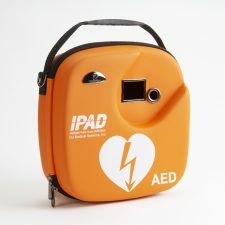 Category: Defib and Cabinet Packages. 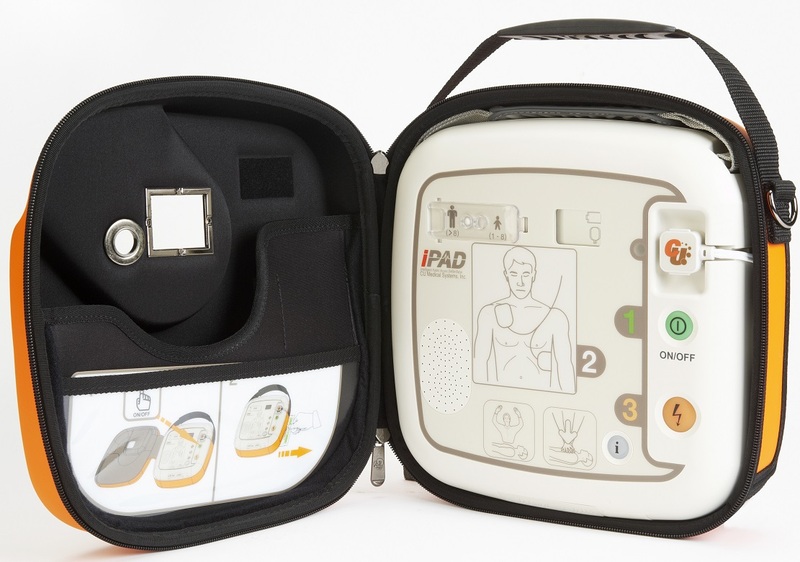 Buy the iPAD Saver and our ever popular AWC003 Outdoor, Heated, Unlocked Cabinet for an amazing package price of only £999+vat, or, have a look in our shop to upgrade to a locked cabinet, or to the iPAD SP1 Defibrillator. 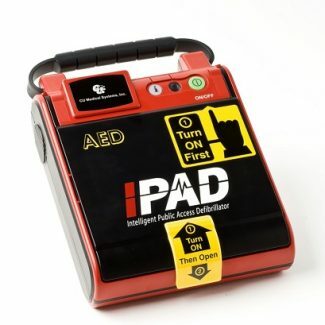 The iPAD Saver is a semi-automatic defibrillator (shocks on the press of a button when instructed to do so by the defibrillator) designed to be used by a member of the public with minimal or no first aid training. 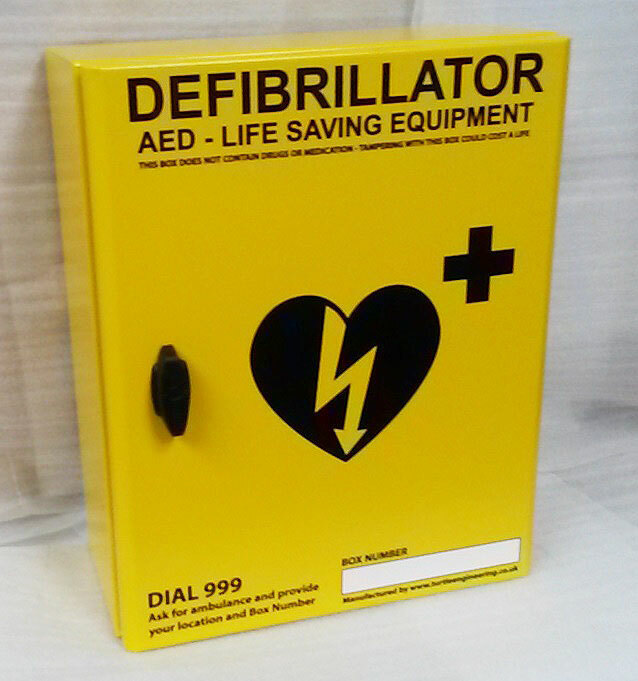 This defibrillator is ideal for locations where there is predominantly an adult population (for example a Golf Club). 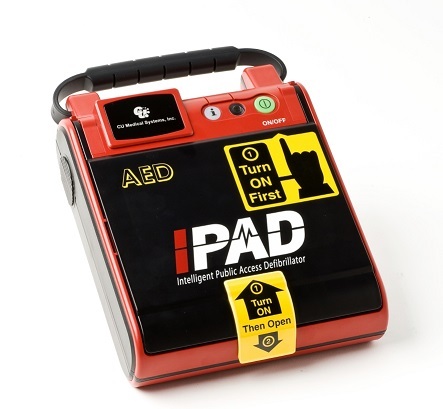 The AWC003 has been designed to house every public access Defibrillator on the market, including the iPAD Saver. Manufactured from 2mm mild steel and powder coated in your desired colour, the AWC003 features an internal automatic LED strip light which is activated when the door opens as well as a 150W fan assisted, thermostatically (temperature) and hydrostatically (moisture) controlled heating element to ensure the ambient temperature inside the cabinet never comes close to freezing. The cabinet also has a handy storage compartment on the inside for spares, mask kits, etc. An easy grip plastic handle is provided to allow the cabinet to be easily opened by all users. 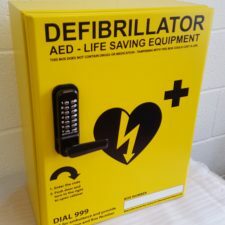 An optional window can be included to allow custodians the ability to easily check the status of the defibrillator without opening the cabinet and an optional rain cover can be included to provide extra protection to the cabinet in areas of high rainfall by diverting rain away from the door seal. A selection of alarms or flashing beacons can also be added to the cabinet to alert locals to the cabinet that it is being accessed – note the alarm / beacon will be activated whenever the cabinet is accessed so it will activate when custodians are checking the cabinet too. All our cabinets can have the front design customised with your own choice of text or logos, please contact us to discuss your requirements further.